Camp Moshava, the summer camp sponsored by Bnei Akiva of the US and Canada, has a long and rich history. 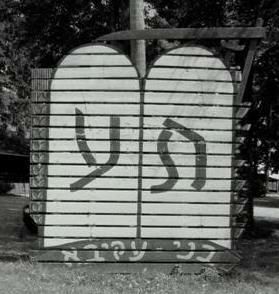 On July 3, 1936 the first Moshava was established in Highstown, New Jersey on a piece of land rented for $25. The staff and campers lived in very primitive conditions and the cost of the time there was only a few dollars. In 1941 a farm in Livingston Manner, New York was purchased for Hachshara (preparing for Aliyah to Israel through working the land. In 1946 Hachshara moved to Cranberry, New Jersey. The actual development of the more modern concept of summer camp at Moshava began with the purchase of a new site near Gelatt, Pennsylvania in 1949. This campground was located at the top of a steep hill which busses were unable to navigate. Campers had to carry their belongings up the final portion of the road and a tradition of chalutziyut and chaverut was created. By 1962 Moshava had outgrown the facilities at Gelatt and purchased a new camp near Beach Lake, Pennsylvania. Here the camp continued to flourish. Under the able direction of Rabbi Yossi Goldberg, the camp continued its’ important traditions while supplementing them with the more accepted types of activities found in the plethora of summer camps that were beginning to open. In 1969 Camp Moshava made the move to its present location in Honesdale, Pennsylvania. Here was a site that combined natural beauty with attractive building and ample facilities. Rabbi Yitzchak Pessin became Director and for 12 years built and expanded the camp. It was during this time that Moshava developed its unique educational approach in summer camping. Besides the usual Torah study, a focus on experiential learning through monthly themes and an extensive repertoire of special activities and stimulations was instituted. Trips to Israel, Greeks in camp, the fall of the walls of Jericho, time machines and many other created activities were included in the educational program. Shilichim from Israel came yearly to serve as advisers and to provide that added Israeli flavor so essential to Bnei Akiva. In addition, the ruach and comradery continued to be the mainstay of the camp. Presently, Alan Silverman is the director of Camp Moshava. He is continuing to follow the proud traditions that have served as the basis of the camp while instituting ambitious capital development and building campaigns.